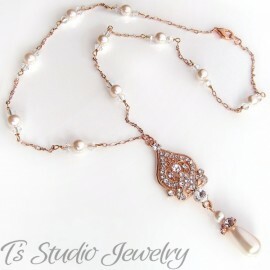 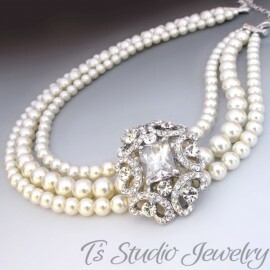 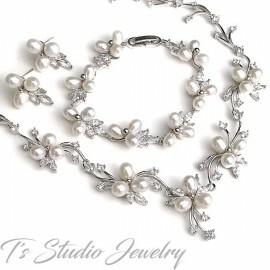 This gorgeous silver plated necklace and earring set features ivory freshwater pearls, clear rhinestones, and Swarovski crystals in an eye-catching design. 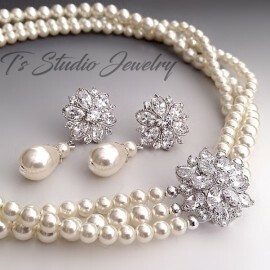 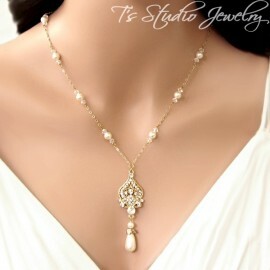 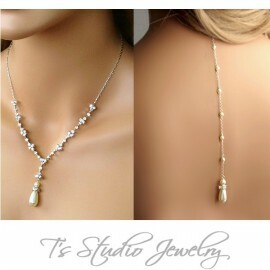 This elegant pearl bridal jewelry set will make the perfect addition to your wedding accessories. 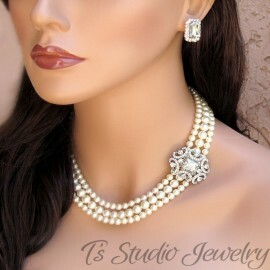 Matching bracelet and hair accessory sold separately.